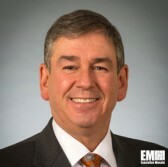 David Wajsgras, president of Raytheon’s intelligence, information and services business, has said many government contractors are suffering a similar shortage in cyber talent that agencies have, the Washington Post reported Sunday. Wajsgras told the Post neither government nor industry are “collectively” attracting enough talent in the cyber field, Joe Davidson reports. The Post cited a Government Accountability Office report that urged the Office of Personnel Management to identify skills gaps in cybersecurity after the OPM data breach. GAO also recommended in the report that OPM schedule the collection of government staffing data and set the metrics for government workforce analyses, according to the report.